Pat Donohue is "a masterful guitarist and talented singer-songwriter of blues, folk and jazz" (Los Angeles Times). His talents are displayed weekly in his appearances on public radio's A Prarie Home Companion, where his guitar playing, writing and singing are featured regularly. The 1983 National Finger Picking Guitar Champion, Donohue's style blends blues and folk in a critically acclaimed display of guitar artistry. According to Chet Atkins, Pat Donohue is "one of the greatest fingerpickers in the world." Any praise that could be given to a guitar player seems insignificant next to such a statement, but Donohue's work warrants even more acclaim. Fans of National Public Radio's "A Prairie Home Companion" have been treated to the fingerpicked guitar work of Pat Donohue for years, whether they know it or not. Donohue started appearing as a guest performer in the '80s and has been a regular member of the show's house band since 1993. The full range of Donohue's talents, however, are evident on his recorded works, which blend folk, jazz, blues, ragtime, and boogie woogie. After recording "Manhattan to Memphis" and "Pat Donohue" for Red House Records, Donohue founded his own label: Blue Sky Records. In 1991, he released "Life Stories" and an album of jazz and instrumental standards called "Two Hand Band" followed a couple of years later. Donohue shifted gears with "Big Blind Bluesy", a collection of classic country blues from the likes of Blind Blake and Big Bill Broonzy, as well as Donohue originals. Chet Atkins appears on 1996's "Backroads" which features solo and full-band performances of Donohue-penned songs. "American Guitar" showcases Donohue's ability as a solo performer and includes more of his own songs as well as his arrangements of traditional American pieces such as "Maple Leaf Rag" and "The Star Spangled Banner". 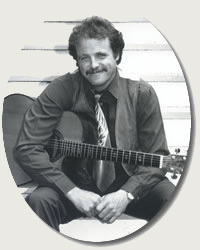 His original songs have been recorded by Chet Atkins, Suzy Bogguss, Loose Ties and other national performers. He has been a featured performer at major music festivals including the Newport Folk Festival, Telluride Festival, and the Philadelphia Folk Festival, and performs regularly in concerts and clubs around the country. Pat Donohue's guitar skills are shared through his many teaching events. His extensive travels for A Prarie Home Companion and his solo performance engagements enable him to conduct in-person group workshops throughout the country. He participates in teaching camps and has also released numerous instructional videos. Although he went to college in Milwaukee and lived and performed in Denver for a number of years, Pat is a life-long resident of St. Paul, Minnesota, where he currently lives with his wife Susan and daughter Daisy. The overall theme of these lessons is to show the roots of Classic Jazz using archival footage; how to arrange a jazz composition and then how to improvise around the arrangement using various techniques. Pat Donohue is a master of fingerstyle jazz guitar. He describes in detail his arrangements as well as how to improvise upon the tunes. In the first lesson of Classic Jazz for Fingerstyle Guitar, Pat presents three great Jazz compositions: "Stormy Weather, The St. Louis Blues, and You Rascal You". Archival footage is included that features Duke Ellington performing "Stormy Weather" with Ivie Anderson from 1943, Bessie Smith singing "The St. Louis Blues" from a rare 1929 film short, and Louis Armstrong in 1942 doing "You Rascal You". Pat Donohue Plays "The St. Louis Blues"
In this second lesson of Jazz Classics For Fingerstyle Guitar, Pat Donohue presents three arrangements: "Ain't Misbehavin', Georgia On My Mind and Big Blind Bluesy". Pat describes in detail his arrangements as well as how to improvise upon the tunes. Features 1941 archival footage of Fats Waller performing "Ain't Misbehavin" and Albert Ammons and Pete Johnson playing a piano boogie duet from 1942. The overall theme of this series of lessons is to show the roots of classic jazz via archival footage as well as how to arrange a jazz composition and then how to improvise around the arrangement using various techniques. Split-screen viewing is used showing what both hands are playing! Pat Donohue Plays "Ain't Misbehavin"
Are you interested in challenging, difficult and advanced fingerstyle solos that stretch from a New Orleans standard to a Sonny Rollins' jazz classic to a Booker T & The MGs rock hit? If so, then this downright exciting DVD is just for you! Pat Donohue has put together a true Masterclass lesson that presents 6 incredible arrangements that will offer you endless hours of fingerpicking challenges and delights! Songs include: "High Society, Downtown Stomp, St. Thomas, The Mooch, Tequila, and Green Onions". Pat Donohue Plays "St. Thomas"
In this lesson Pat teaches five of his original tunes. Besides being great songs, the arrangements offer the guitarist a panorama of techniques and styles. From the syncopated stumbling bass of Blind Blake to the sophisticated country alternating bass of Chet Atkins. From a swing jazz accompaniment to a blues with echoes of the Irish Washerwoman! There's lots of enjoyable and challenging guitar ideas that Pat explains and teaches phrase by phrase, followed by the arrangement played slowly on a split screen so that you can carefully study both his left and right hands. Songs include: "The Road To Kingdom Come, Stealin' From Chet, Jazz Names, Buddy The Blues and The Irish Blues". In this unique lesson, Pat Donohue takes a simple 12 bar blues in the key of G and shows how you can add various elements to create a distinct arrangement. Pat discusses: � Basic Three Chord Blues in Key of G � Lenny Breau's Two Note Chords � Walking Bass Lines & Chords � Chuck Berry Licks � Diminished Chord Licks � Mountain Blues Licks � Ending Licks � Putting the Pieces All Together. There are lots of ideas and techniques in this lesson. Pat slowly and carefully teaches these concepts with the help of a split screen. This allow the student to study in detail what the left and right hands are doing! This new collection features 12 superb solo guitar arrangements of Pat Donohue classics in standard notation and tab! Solos include: "Arkansas Traveler � Big Blind Bluesy � December Waltz � Drivin' Blues � Freewayman � Into the Garden � Joe Fingers � Maple Leaf Rag � Mountain Air � Mudslide � Novocaine � Whole Lotta You." Includes online audio access to tracks featuring Pat performing each of his solo guitar arrangements! Pat Donohue Plays "High Society"
In a lively, "jam-packed" display of ideas and musicianship, Pat Donohue (with the expert help of Mike Dowling) teaches the necessary strategies that enable two guitarists to make good music regardless of the song or style - even if you've never played a particular tune before. The two pros demonstrate a wide variety of essential skills, taking the mystery out of the use of the capo, using harmonizing chords up the neck, improvising 2nd guitar parts, trading solos and accompaniment, and much more. You'll learn how to jam on the fingerpicking classic "Freight Train", Mike's lyrical original "Wild Rose", up-tempo rags "Salty Dog" and "Gee Whiz", blues tunes "Trouble in Mind", "Blues City" and a terrific two-guitar boogie-woogie. Along the way, you'll get sage advice on important topics that will help you in all of your guitar explorations! Pat Donohue combines the rare talent of being a superb guitar player with that of writing excellent songs! He is also a showman that weaves humor and wit into his performances. A concert with Pat can move you with his songs such as "Midnight Man" and then astound you with his finger dexterity as he blazed through Scott Joplin's "Maple Leaf Rag". His tongue-in-cheek humor shows up in his hilarious songs "Bio" and "Stealing From Chet" while his sentimentality is apparent in "Out On The Road To Kingdom Come". A concert with Pat Donohue is all-encompassing and is a richly musical experience that will leave you asking for more! From swing to jazz to bottleneck blues to folk, Grammy winning acoustic guitarist Pat Donohue plays it all with a flourish of artistry and melodic inspiration. Chet Atkins called Pat "One of the greatest fingerpickers in the world today" while Leo Kottke called his playing "Haunting." Pat is certainly one of the most listened to fingerpickers in the world. As the guitarist for The Guys All-Star Shoe Band of Minnesota Public Radio�s A Prairie Home Companion, Pat gets to show off his savvy licks and distinctive original songs to millions of listeners each week. Pat's musical tastes are eclectic. Though he considers himself foremost a folk guitarist, Pat's influences are rooted in bluesmen Blind Blake, Robert Johnson, Charlie Parker, Duke Ellington, Muddy Waters and Miles Davis. He manages to blend jazz and blues with folk, and the mix is seamless. Over the years he has captivated audiences with his unique original compositions, dazzling instrumentals and humorous song parodies. Titles include: "Road To Kingdom Come, Novacaine, Spike Driver's Blues, Shuffle Rag. West Coast Blues, Kindhearted Woman, Cypress Grove, I Never Cried , Boogie Woogie Dance, Mudslide, Stompin� At The Savoy, The Mooche, The Hard Way, Stealing From Chet, The Other End Of The Mississippi, Buddy The Blues, Would You Like To Play The Guitar, My True Love and Louis Collins". Pat Donohue Plays "Spike Driver's Blues"